More from the debate over at BPM.com. Processes and data are engine and fuel of business. An engine without fuel is will take us nowhere. Unburned fuel is just energy hanging around with nothing to do. Process without data … well, you get the analogy. Data has gone from being a facsimile of an entry in a ledger (60’s flat files), to an online archive of transactions (70’s indexed files), to a connected catalog of information (80’s databases), to a cross reference-able decision support system (90’s relational databases), to a consumer facing sales tool (00’s web-apps), to a mash-able source of public and private insight (10’s mobile apps). The trajectory of data is moving from simple audit-able, transactional record keeping to empowerment of consumers and business leaders. The further along this continuum we move the connection between the data’s purpose and the ways we exploit it become ever tenuous. An example: The much quoted FaceBook Status change graph shows how many Facebook users changed their relationship status to “single” on each day of the year. Those making the status change are telling their friends about what is new in their life. Aggregated together the data tells a story to our society, its pressures, its trends and that weekends put a lot strain on relationships. See also Google “Flu Tracker” where Google tracks searches looking for flu symptoms to predict where epidemics are likely to break out. This is “Big Data” in action. My belief if that those with a Sherlockian mind that can sleuth out insight from the peaks and troughs of aggregated (ie. big) data will be the new superstars of our business. 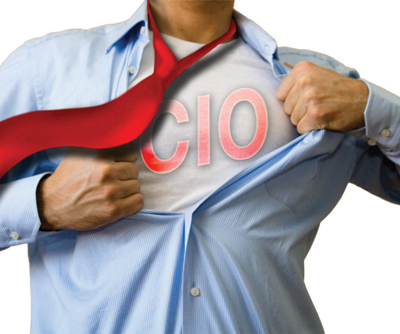 Perhaps CIO might finally mean Chief INFORMATION Officer, or at least we might create Chief INSIGHT Officers. We will get the most out of Big Data by being completely free of process. The “creativites” who will see meaning in data will have the most abstract role that there has ever been in technology. But from their wisdom we will optimize how we run our business by introducing processes that exploit the newly uncovered truths. This entry was posted in Business and Technology and tagged Big Data, BPMS, Business, Disruptive Innovation, Empowering Change, Process automation, Technology. Bookmark the permalink.